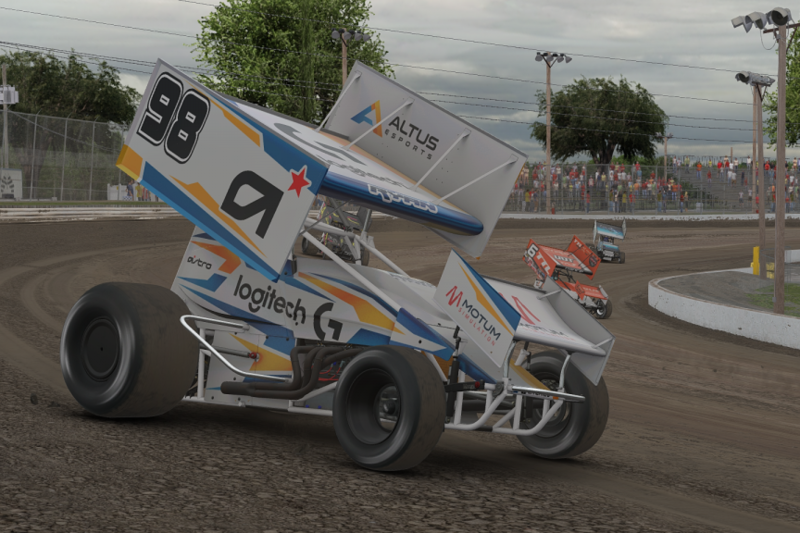 This Monday, the second season of the iRacing World of Outlaws NOS Energy Sprint Car World Championship kicks off with a 30-lap tilt at Volusia Speedway. 35 of the world’s best drivers have been welcomed into the 10-round season for the chance to battle for $25,000 in prizes and the honor of the world’s best virtual sprint car driver. 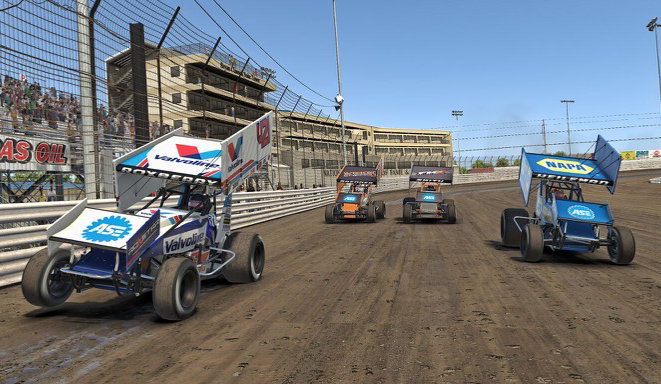 As with their physical counterparts, the top WoO drivers in iRacing will visit iconic dirt ovals like Volusia Speedway, Eldora Speedway, Knoxville Speedway, and more, competing in the sport’s signature 410 Winged Sprints. Last year, Mandurah, Australia’s Tim Ryan squeaked out the championship by just four points over Drummondville, Quebec’s Alex A Bergeron. Both drivers scored four wins in the championship, trading victories through the first five rounds of the season before Nick Cooper finally broke their dominance at Williams Grove Speedway as the season hit its halfway point. All three are expected to return to the track this season, as the top 15 in 2018 points all received automatic bids to return to action; the remaining 20 spots have been filled by the top WoO Sprint Car drivers from 2019 Season 1 with a qualifying license that haven’t already been accepted into the championship. Real-life WoO stars have jumped on board to support the series, too. Both David Heileman and Britton Roxberry will race with KKR Sim Team with Wicked Cushion, a new squad backed by NASCAR and WoO star Kasey Kahne. Kevin Swindell’s Swindell SpeedLab squad features brothers Chase and Cole Cabre, plus a pair of 2018 race winners in James Edens and Adam Elby and sixth-place 2018 points finisher Matthew McKinney. Combine the professional influence with a diverse lineup that features drivers from 13 states, Canada, Australia, and New Zealand, and the 2019 WoO Sprint Car season will be one of the most exciting World Championships that iRacing has to offer. The first stream of the season kicks off on Monday from Volusia Speedway at 8:45PM ET/5:45PM PT. Races can be streamed on the iRacing Facebook, YouTube, and Twitch channels.